It can often pay to shop around a little. 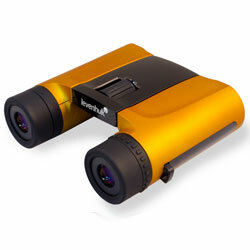 Below are some of the best places on the web that I have found that sell Levenhuk 8x25 Rainbow Binoculars. Please note Whilst not an exhaustive list, these are internet businesses that I trust, not a "man in a shed" or second hand ebay type retailers. Not from the USA? Click here for where to buy in the UK | Canada | Australia | Germany | India. Ebay, like Amazon is one of the biggest brands on the web. In the past I was not that keen to recommend them, this was because I don't think that is wise to buy a second hand pair of binoculars unless you know or can really trust the seller. Things have now changed on Ebay and there are now many, many brand new binoculars that you can "Buy Now" with no auction, and they are sold by trusted sellers. The link above to Ebay will only show you binoculars that are new and sold by Ebay's Top-rated sellers for a buy now price (not an auction) - I feel they are well worth checking out and comparing against the prices of the online shops above.